between 8:1 and 14:1, offering diesel power and efficiency without the emissions. 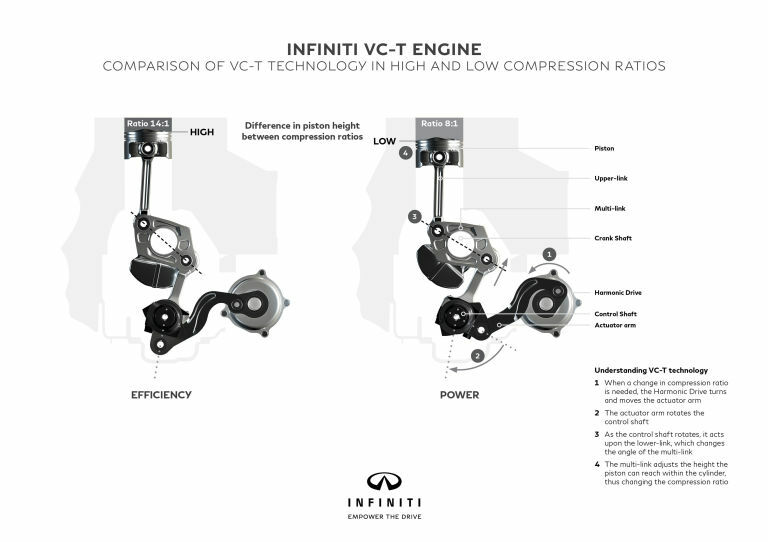 Nissan's Infiniti division will present its first Variable Compression-Turbocharged (VC-T) engine at the Paris Motor Show next month. 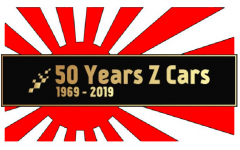 This technology took them more than two decades to perfect, and the result is a high performance engine offering that claims to offer vastly increased fuel efficiency as well. As you can see, by changing the stroke length, the engine can infinitely vary its compression ratio between 8:1 and 14:1. When the engine's control logic electronics think you need more power, the actuator arm works on a control shaft to change the position of a multi-link pivoting around the connecting rod's main bearing, lowering the piston in the cylinder. This decreases the compression ratio, allowing the turbocharger to produce more boost without the risk of pinging or detonation. But when you're just cruising in top gear, the system will do the exact opposite, going for the highest possible compression to improve fuel mileage. The engine's electronic valve timing and port-plus-direct fuel injection allow it to switch between normal and Atkinson cycle operation on the fly. 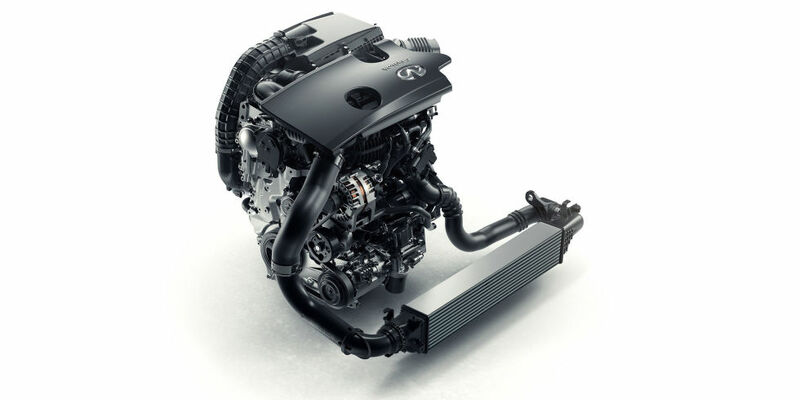 Infiniti claims the technology gives the engine "the torque and efficiency of an advanced turbodiesel—without the equivalent emissions," though exact power figures for the 2.0-liter VC-T have not been released. 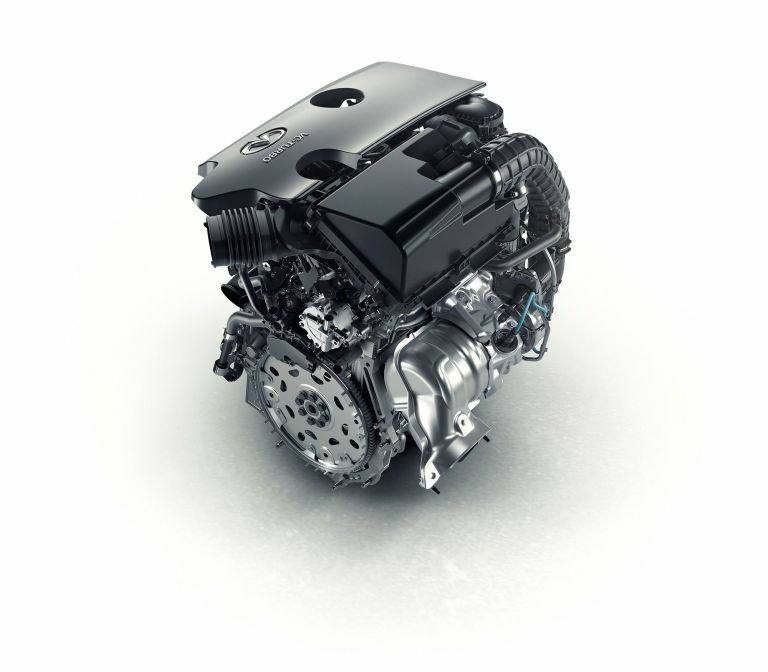 From the outside, this variable-compression engine just looks like a normal four-cylinder with a turbo. Some of you might remember that Saab was also experimenting with variable compression engines back in the early 2000s. Saab Variable Compression Engine, 2000. Saab's idea was an engine with a two-part block that could squeeze the cylinder head closer to the block using a hydraulic actuator to increase compression. The SVC project was shelved once GM took over Saab, making the Infiniti VC-T the first production car engine with variable compression.